If you are just getting started in the cryptocurrency world, it’s crucial that you use a cryptocurrency exchange for beginners. Otherwise, you will not only find it difficult to get involved in this exciting space, but you also risk losing money. There are many cryptocurrency exchanges for beginners to choose from, and each offers slightly different functionalities. See our article below to learn which are your best options, and what you need to watch out for. Coinbase is one of the world’s largest cryptocurrency exchange for beginners and the simplest way for someone to buy their first crypto. Many consider it the easiest Bitcoin exchange out there. Although the company is based in the US, the exchange is currently available in 40+ countries and accepts deposits in USD, EUR, and GBP. When creating an account at Coinbase, the first step will be to verify your identity by submitting a picture of your ID or Passport. This is completely normal and most crypto exchanges have to ask for identification to stay compliant. After you verified your identity, which only takes a minute, you are now ready to deposit some money to buy crypto. 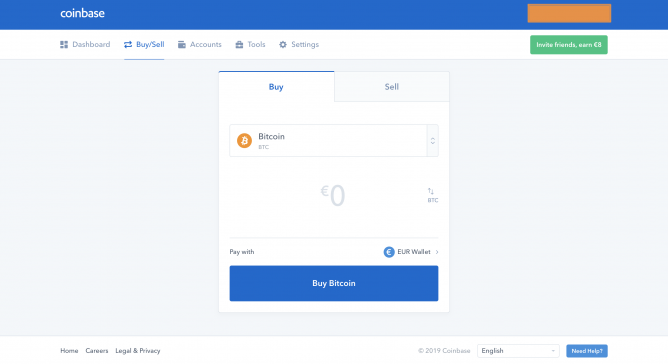 Coinbase accepts several payment methods, including credit card, debit card, PayPal, bank transfer, SEPA transfer, and more. Depending on your bank, it can take 2-4 business days until the deposit arrives at Coinbase. Coinbase currently supports 10+ cryptocurrencies, including Bitcoin, Ethereum, Litecoin, and Bitcoin Cash. Buying some crypto on Coinbase is very simple and will only take you a click after your deposit arrived. Although trading fees are slightly higher on Coinbase than on other cryptocurrency exchanges for beginners, this higher cost is worth paying for the superb security and user experience that Coinbase offers. Finally, you may be wondering: “Is Coinbase Safe?”. Yes, Coinbase is safe and legitimate. The exchange has offices in San Francisco and hasn’t had any security issues ever since the day it was launched back in 2012. 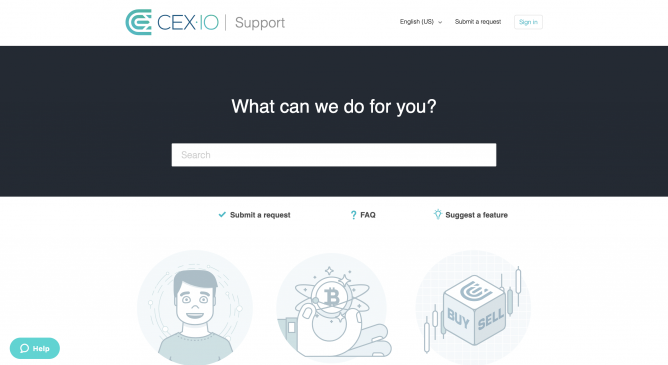 CEX is one of the oldest Bitcoin exchanges out there, having been established back in 2013. It is currently available in most countries in the world BUT some states in the US. The exchange currently only supports 9 major cryptocurrencies, including Bitcoin, Ethereum, Ripple, Litecoin, and a few more. However, the relatively small selection of coins isn’t really a problem since most beginners are only looking to invest in larger cryptocurrencies anyways, at first. A very helpful feature that CEX offers is the ability to instantly buy Bitcoin with debit or credit card. This makes it simple for someone that is just getting started with cryptocurrencies to quickly buy their first Bitcoins. Finally, CEX also has an excellent help center. In this help center CEX not only covers in detail how to use the platform and answers many frequently asked questions, but it also provides general crypto investing education. eToro is a trading platform that became widely popular due to their concept of “social trading”, which enables anyone to “copy” the portfolio of a professional trader. At the time of writing, eToro supports 14 cryptocurrencies, including Bitcoin, Ethereum, Ripple, EOS, Litecoin, and even BNB. That being said, while eToro is a very simple way of buying and selling cryptocurrency for beginners, it, unfortunately, does not allow you to withdraw your coins to an external wallet. This means that you can buy some Bitcoin on eToro and you would profit if the price goes up, however, you would not be able to withdraw it to your cryptocurrency wallet and use it for payments, for example. eToro is available in most countries in the world, and also offers free deposits for most payment methods out there (bank transfer, credit card, debit card, PayPal, and more). Furthermore, there are no trading fees on eToro, which makes eToro a good alternative to Coinbase which charges up to 1.49% fees in every trade. The only fee on eToro is a $25 withdrawal fee when you want to send your money back to your bank account. Overall, its simple user interface and large availability of coins make eToro a good bitcoin and altcoin exchange for beginners. Coinmama was launched back in 2013 and is owned by a major Israeli firm. The exchange is currently available in 180+ countries and enables users to buy 7 different cryptocurrencies. Although trading fees are quite high (5% per trade), they are worth paying since the exchange does offer a great user experience that makes it very simple for beginners to buy their first Bitcoins. Coinmama offers a large selection of payment options and, similarly to CEX, it also offers instant buy buttons. 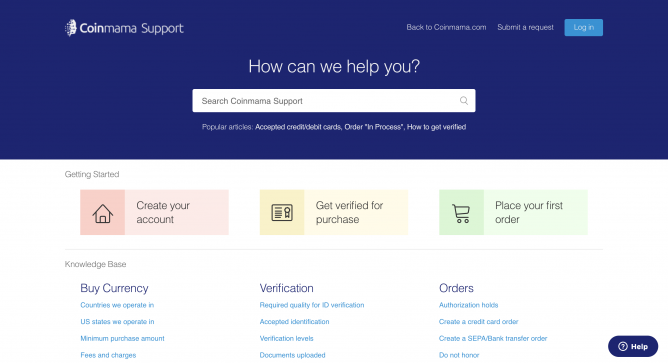 Coinmama’s support is excellent, with most questions being answered in less than 24 hours. If you don’t want to wait 1 day to get an answer to your question, you can also make use of Coinmama’s extensive help center and frequently asked questions section. Although Coinmama is a good cryptocurrency exchange for beginners, there are two small downsides that need to be pointed out. First of all, unlike Coinbase, Coinmama does not offer a mobile app. This means that if you want to buy Bitcoin on Coinmama, you will always have to use the website. While it’s true that this is not a deal breaker for most, it is an important feature that the exchange doesn’t offer, unfortunately. Secondly, Coinmama has experienced a data breach in February 2019. Although no user funds were compromised, it does show that Coinmama’s security is not at the same level as crypto exchanges like Coinbase and eToro. CashApp is a subsidiary of payment processor Square that is mainly used for money transfer but has recently also launched a functionality for buying Bitcoin. 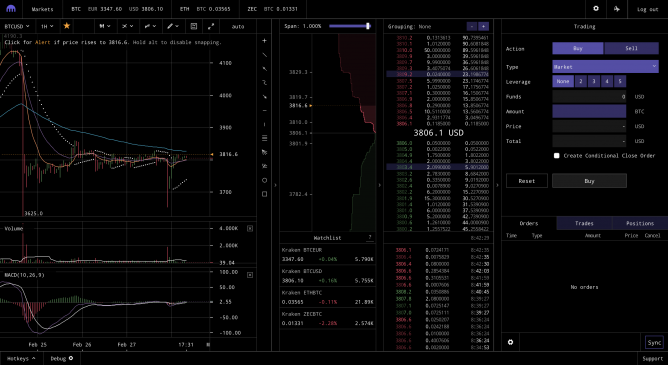 It’s not a traditional cryptocurrency exchange since it doesn’t have a visible order book or charting tools, but it’s by far one of the easiest ways in which a beginner can buy some Bitcoin. 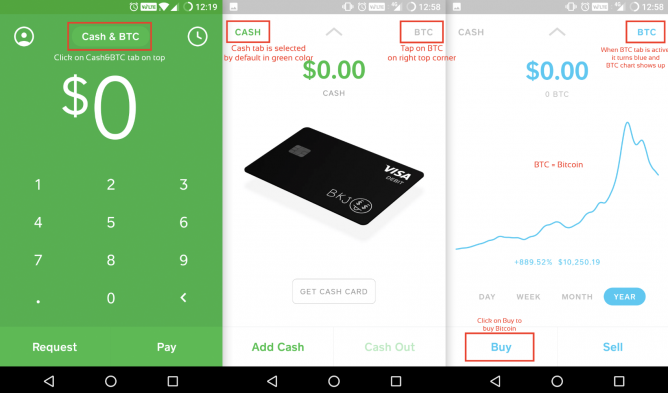 Buying Bitcoin on Cash App is as simple as clicking a button, and only requires you to connect a credit card or deposit some money first. Also, keep in mind that before buying Bitcoin you will have to pass a very basic identity verification. Interestingly, there are no fees when buying or selling Bitcoin on Cash App, the company generates its revenue from a small spread that it charges on the price. Furthermore, to the contrary of exchanges like eToro, Cash App does enable you to withdraw your Bitcoins to a third party wallet. 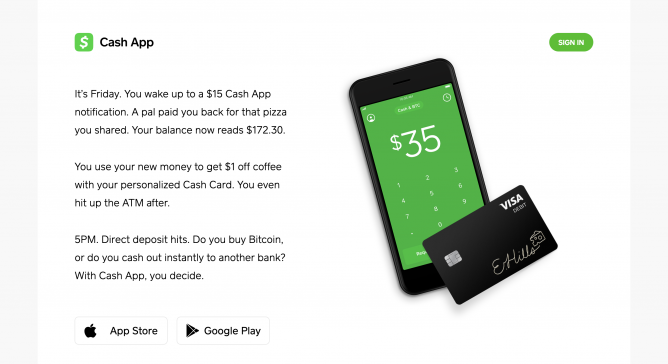 Cash App also makes it very easy for you to actually use Bitcoin as money if you really want to, since the app is actually a payments processor. That being said, if you want to buy any cryptocurrencies other than Bitcoin then Cash App is not for you. Cash App is purely a bitcoin exchange. 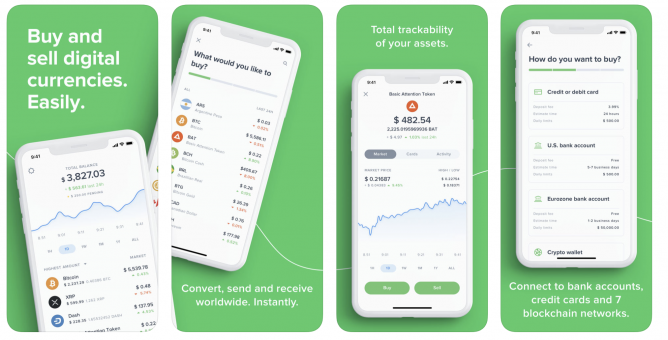 Uphold is a US-based cryptocurrency exchange for beginners that was launched back in 2015. It initially got traction after offering interest to its users that leave coins on the exchange. The exchange is now available in 180+ different countries and supports 20+ different fiat currencies, so chances are high that you won’t be restricted from using the exchange. 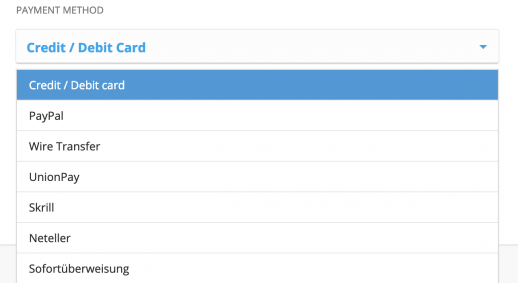 If you wanted to buy Bitcoin, for example, you would simply click on the “Bitcoin card” and deposit some EUR and USD. Once your deposit arrives, you can easily convert it to Bitcoin. But that’s not all, at the time of writing Uphold supports 8 more cryptocurrencies. 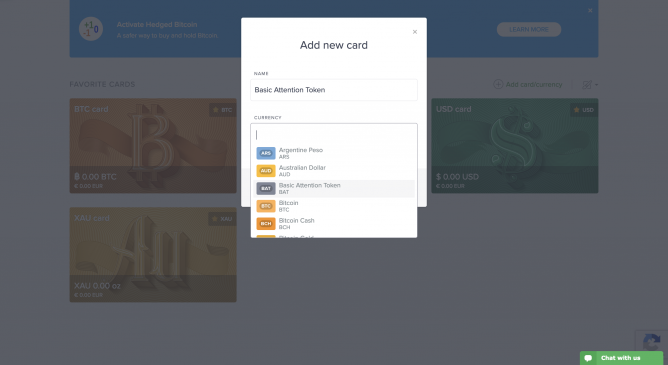 To buy one of the digital assets that are not in the default view, like for example Ether or Litecoin, you simply need to click on “Add card” and select the cryptocurrency that you want to add to your dashboard. Another point that makes Uphold stand out is that so far it is the only crypto exchange that pays you annual interest for leaving your coins on it. Depending on the size of your earnings, this will net you 3 to 10% interest per year. Finally, Uphold also has an outstanding mobile app. It currently has 4.8/5 stars from 2.7k+ reviews, which speaks for itself. The app can do everything the exchange can do, but right from the palm of your hands. Kraken is a cryptocurrency exchange that is particularly popular in Europe due to its large liquidity in EUR trading pairs for cryptocurrencies. It was launched back in 2011 and has not been compromised a single time ever since, which makes it one of the safest crypto exchanges out there. Kraken currently offers 20+ different cryptocurrencies, including big coins Bitcoin, Ether, and Litecoin, but also smaller coins like Augur and Dash. Kraken stands out for its excellent (optional) trading interface. If you are an active trader, you can make use of it to do technical analysis and to open leveraged trades. This great trading interface is also coupled with fees of just 0.26% per trade, which is very low for a cryptocurrency exchange for beginners and makes it one of the cheapest cryptocurrency exchanges out there. 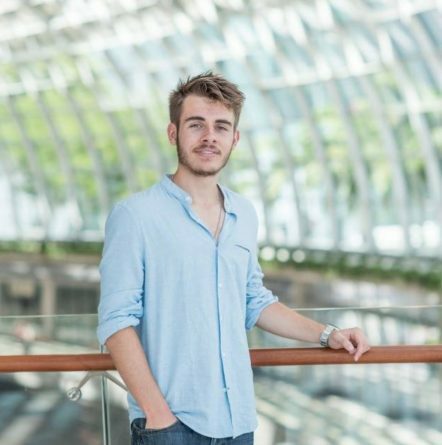 The exchange also has a world-class support team. For the sake of the review, I opened a support ticket and it was answered in just 1 hour. 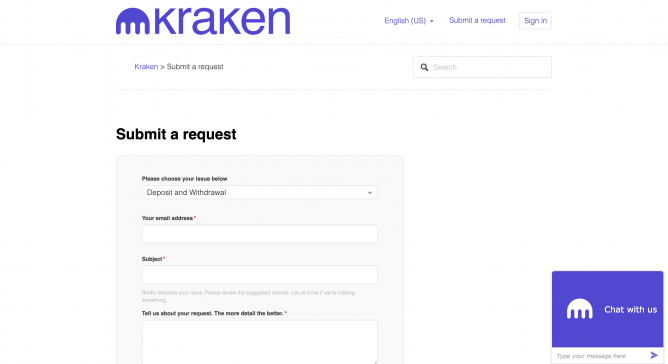 Kraken also has a decent help center where you can look for an answer to your question by yourself. 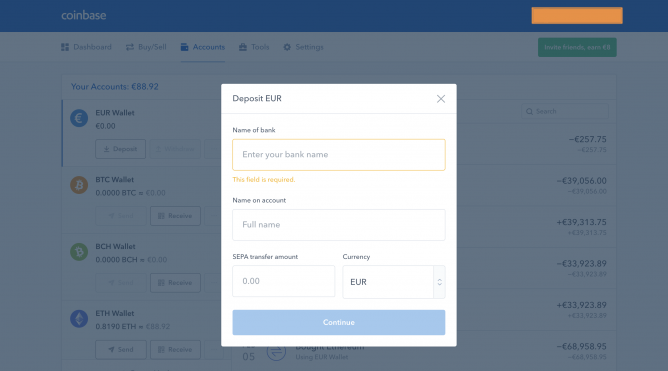 Overall, Kraken’s user interface is not as intuitive as other cryptocurrency exchanges for beginners, but it is regardless a great pick for people that want to buy Bitcoin or other cryptocurrencies with EUR. What is a cryptocurrency exchange for beginners? Cryptocurrency exchanges for beginners are exclusively focused on ease of use. They aim to provide a simple bridge for newcomers to enter the world of cryptocurrency and usually also offer a smartphone app in order to make the experience even smoother. These cryptocurrency exchanges, like in the case of Coinbase, are also extremely careful with the coins they list. They not only do this in order to be compliant with local regulations, but also in order to protect their users. Therefore, you will only find major coins like Bitcoin, Ethereum, Litecoin, and a few more, on cryptocurrency exchanges for beginners. This obviously has a benefit because it does not expose users to hyper-risk coins, but on the flip side, it also reduces the number of different coins that cryptocurrency investors can purchase. Another characteristic of cryptocurrency exchanges for beginners is that they usually have an excellent knowledge base in order to educate their users and also brilliant customer service. These two features are crucial things to watch out for since you may run into issues or have questions when buying cryptocurrency for the first time. We realize that every user has his own preferences when looking for a cryptocurrency exchange to buy their first coins at, so in order to prepare a review that is balanced for all readers, we have ranked cryptocurrency exchanges by their user experience and their pricing and commission structure. The following aspects were considered particularly important in determining the best cryptocurrency exchanges for beginners that you see on the above list. The key advantage of cryptocurrency exchanges for beginners is that they are very simple to use. This improved user experience usually comes in the form of a clean user interface that highlights the core features in a very comprehensible way, and that omits functionalities that beginners don’t really need. As a beginner in the cryptocurrency world, you may have a few questions prior to purchasing some coins, or after you already bought them. Great cryptocurrency exchanges for beginners have excellent customer support where any question you have is answered in just hours. Like any other financial service as well, its crucial that the cryptocurrency exchange you use is trustworthy. After all, you will be depositing money to it. In our list, we have only selected exchanges that are completely compliant with their local regulations and where the team is publicly known and respected. Beginner cryptocurrency exchanges usually have rather limited investment choices, only offering the most established coins. This way, exchanges protect users from investing in smaller and riskier coins. However, excellent beginner crypto exchanges will do a lot of due diligence in order to also safely list smaller coins that might yield greater returns. A key factor to watch out for when choosing a cryptocurrency exchange is cost. This cost can be in plain sight in the form of withdrawal fees or commissions, but it can also be hidden in the form of spreads where the exchange quotes you a higher price for a cryptocurrency than in other exchanges. Which cryptocurrency exchange for beginners is best for you? The good thing about there being lots of cryptocurrency exchanges for beginners out there is that you can pick and choose which one is best for you. There are many factors by which you can judge which exchange is the best fit for you, but here are three of the most common ones. Supported countries: Does the exchange accept users from your country of residence? Supported coins: Does the exchange offer the cryptocurrency that you want to purchase? Investment style: Are you a passive investor, or do you want to do active cryptocurrency trading? So, which crypto exchange for beginners should you use?